On 30th April 1976 (i.e. 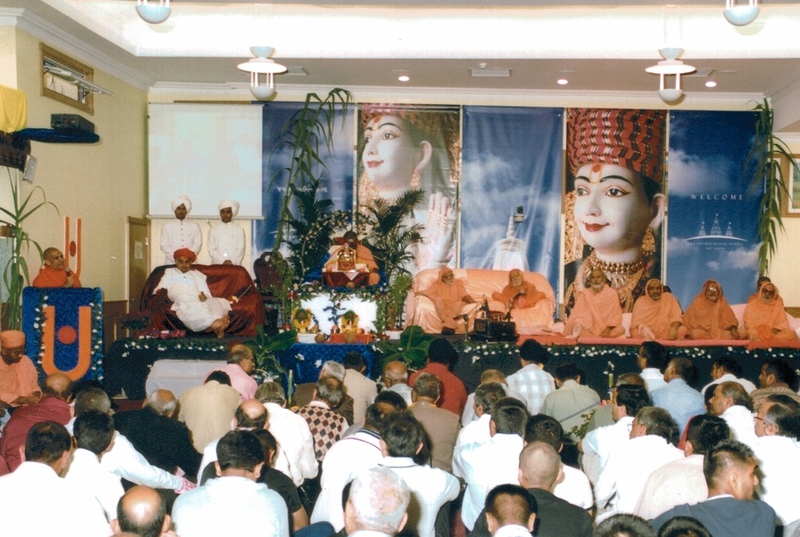 over 26 years ago) devotees in the East region of London (UK) began house to house devotion for ultimate salvation. 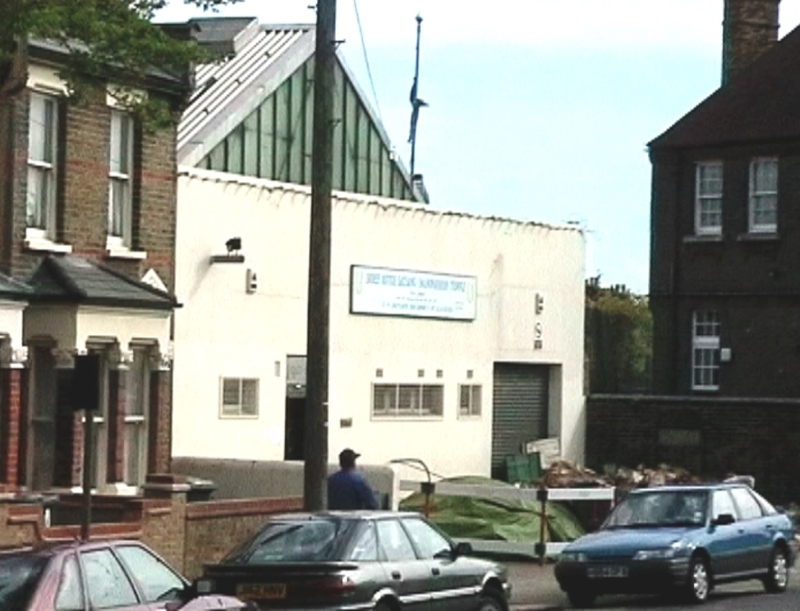 One of the main residence where Swaminarayan Satsang took place was at 189 Green Street, London E7. 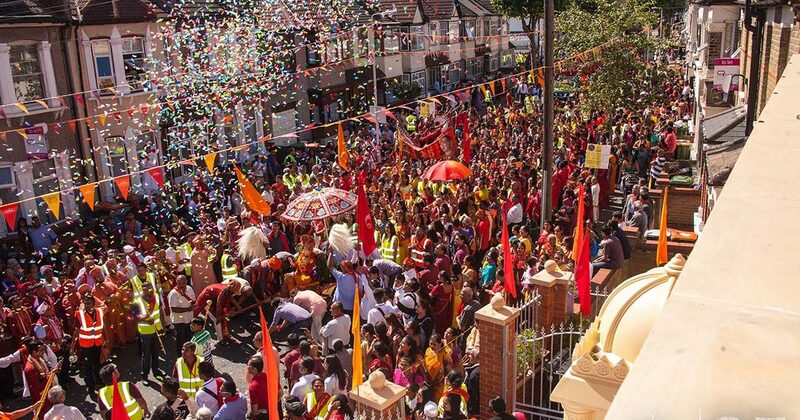 The worshipping process included the normal rituals such as Aartis, Thads, Kathas, Bhajans and Kirtans. 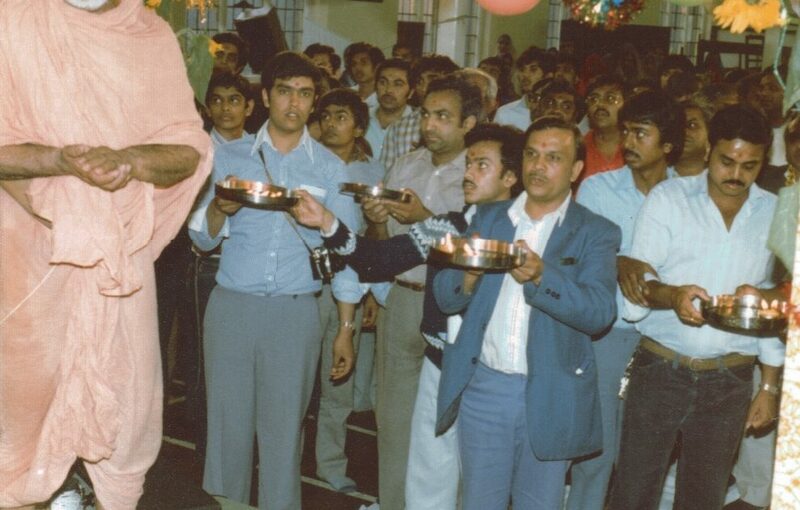 Finally, Prasaad was also being served to all devotees. 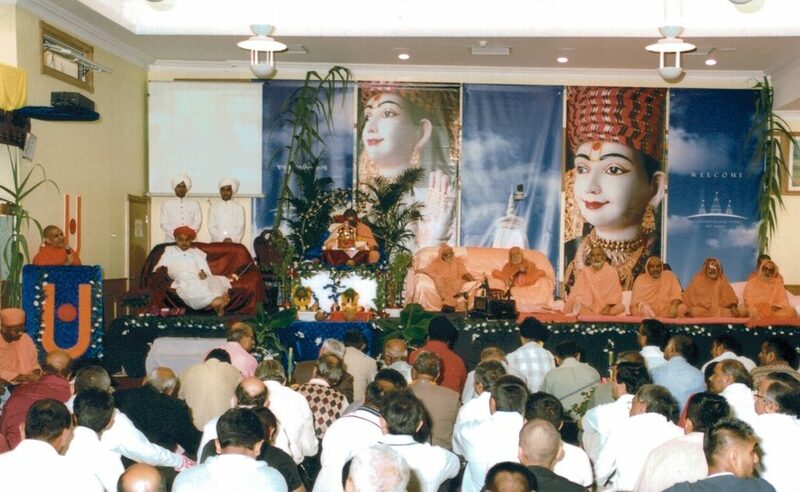 Ever since the worshipping ceremonies began, Satsang grew from the very few who took part to hundreds. 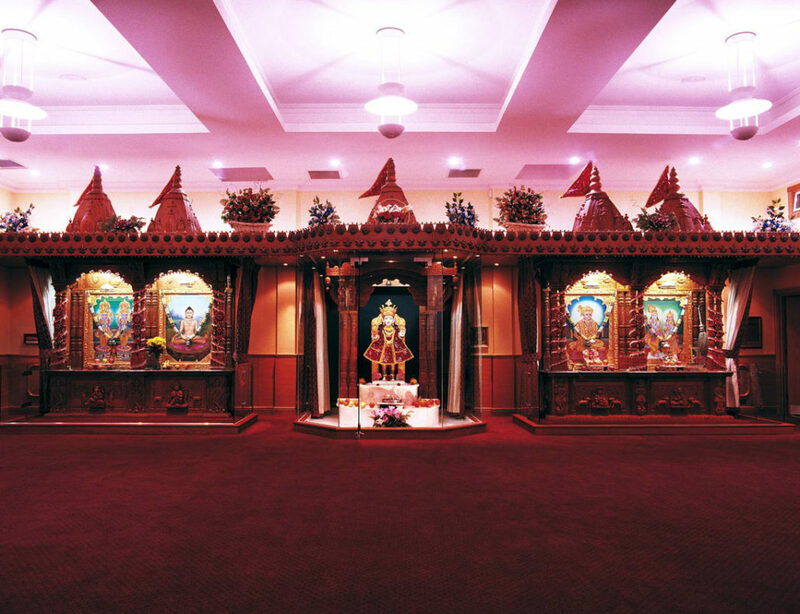 Then when came the auspicious occasions such as Ramanavami (Lord Shree Rama’s and Lord Shree Swaminarayan’s birthday); Janmashtami (Lord Shree Krishna’s birthday); Diwali (Lord Shree Rama’s victory over Maharaja Ravana and becoming the King of Ayodhya); etc., arrangements were made to hire a hall from funds raised by the devotees to celebrate these occasions. As Satsang grew even bigger, saints visited all the way from Kutch to render their advanced knowledge on Lord Shree Swaminarayan and His satsang/devotees. 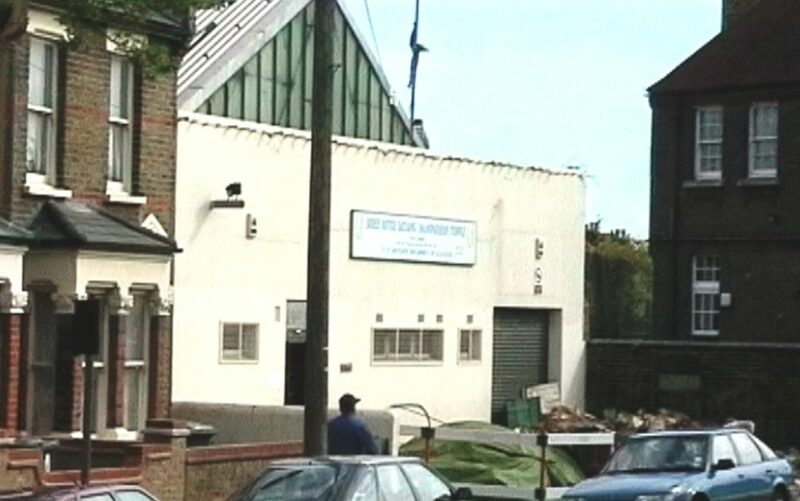 Satsang was maintained this way in East London. 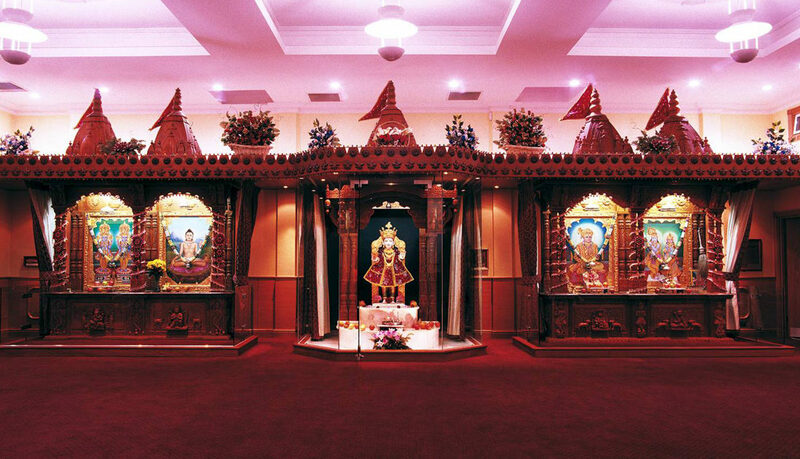 As the number of devotees grew, there become a need for a bigger and proper place to worship. Organisational difficulties and frustrations of not having a temple prompted local devotees to seek the then Mahant (head of saints) Shashtri Swami Dharmajeevandasji Swami’s help. By means of forwarding letters and meeting with him personally, his message rendered blessings to continue house to house worshipping whilst looking for a better and permanent place of worshipping that is convenient to all. Satsang and shopping for a permanent site continued for a long time. 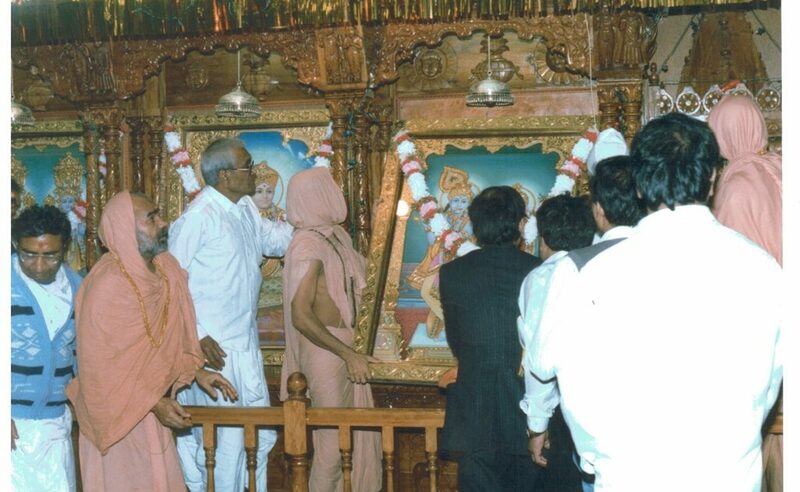 Finally, on 10th October 1985 with the blessings of Lord Shree Swaminarayan’s and the Mahant Swami’s greatness and glory, came time for a dream of every devotee to become true. 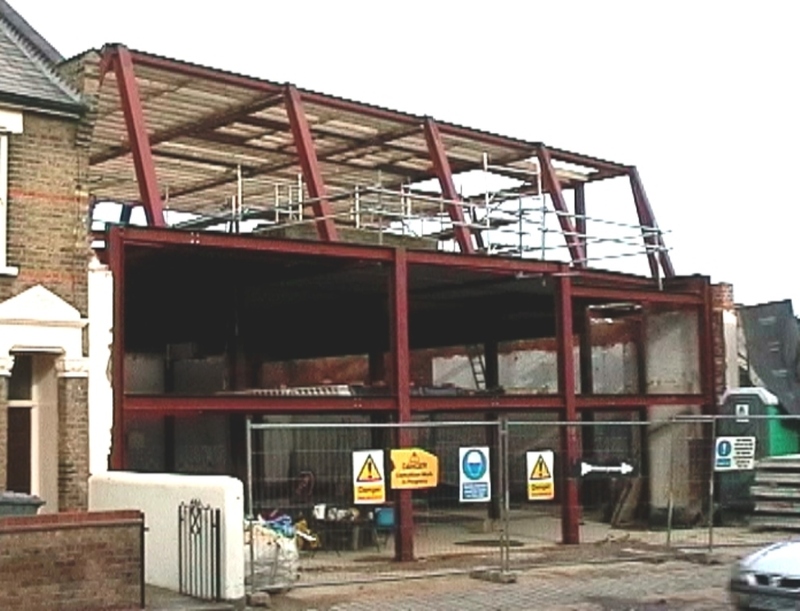 A site to build a Temple was seen, decision to buy the land was made and contracts were signed to acquire the site. 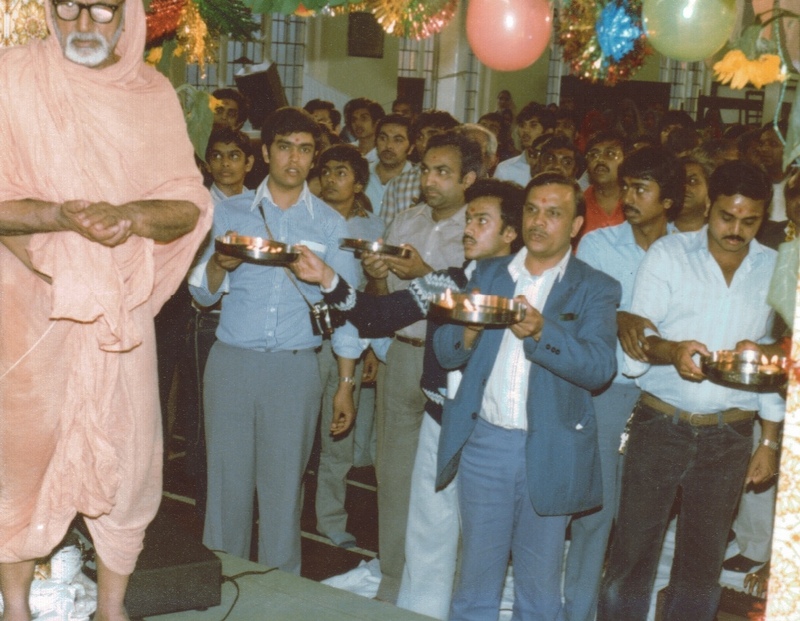 Fund raising tasks began on 1st December 1985. 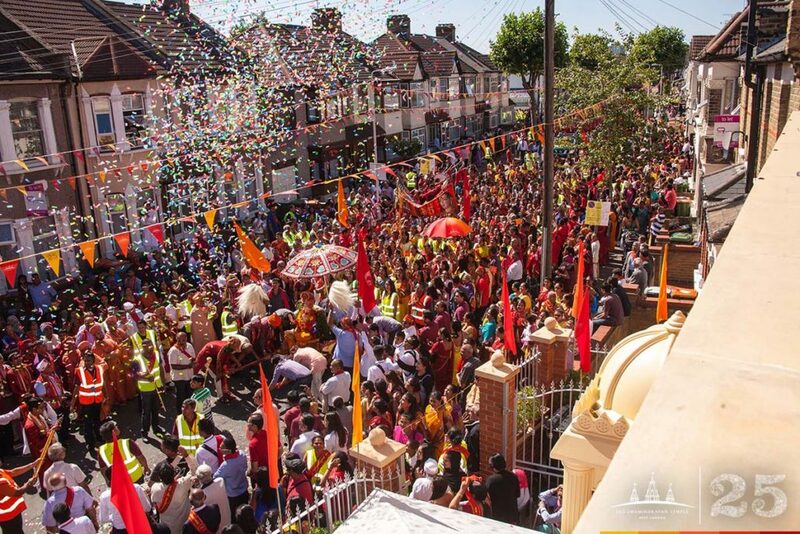 What more can be said about the dedication and enthusiasm of the devotees whether local, national or international, everyone took their part in contributing in any and every form possible to bring such great dream come true. 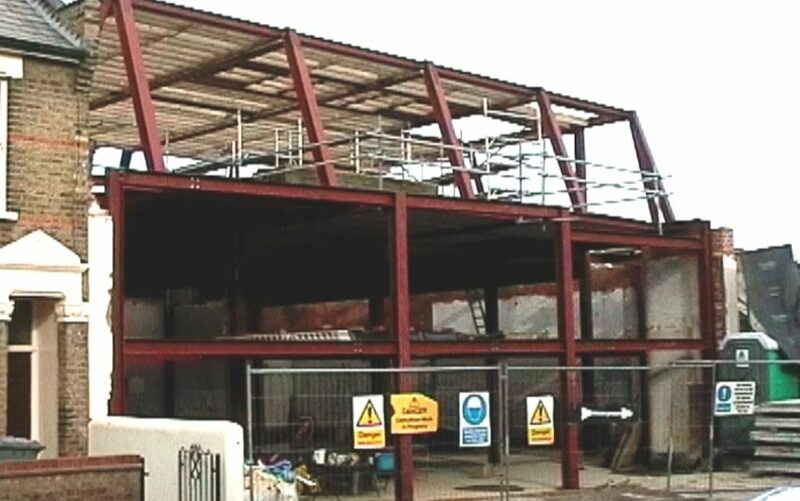 Funds began to pour in from all directions and plans began to emerge in the presence of Lord Shree Swaminarayan’s and Swamis’ blessings. According to Shashtri Swami Shree Hariswarupdasji, Shashtri Swami Shree Dharmakishoredasji and Shashtri Swami Shree Morlimanohardasji’s expectations, Sinhasan and Murtis were imported from Shree Swaminarayan Temple, Bhuj, India.